Lemonade is about the best drink there is to enjoy any given day, but when it’s #NationalWatermelonDay you have to enjoy a Watermelon Lemonade in style. Stay with me and I’ll show you how. I partnered with Cheddar’s Restaurant to share a fun way to enjoy a drink using a watermelon as a beverage dispenser. Just add a spigot tap dispenser and get the party started! All pictures and opinions are 100% percent my own. Cheddar’s Scratch Kitchen, always dedicate the time and effort necessary to make something memorable. And this National Watermelon day, we want you to get in on the fun too. That’s why when we got a box through mail from Cheddar’s Scratch Kitchen with a fun basket filled with a fun size watermelon, some very delicious sweets and a spigot we were very excited. Intrigued right? 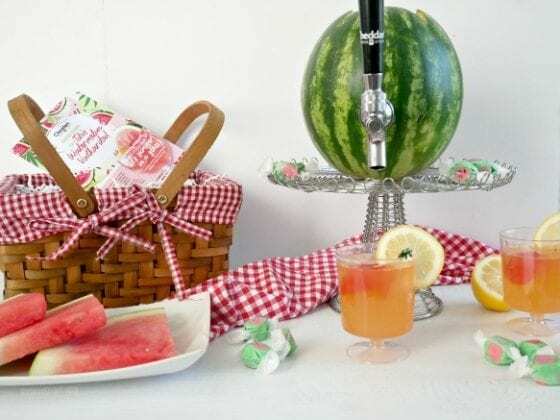 I’m about to show you how to make your very own watermelon beverage dispenser and a very refreshing watermelon lemonade to get the party started! Slice a very thin sliver - approximately 1/4 inch - off the bottom of the watermelon to stabilize it. Careful! If you cut too much off, the watermelon will leak. Next, cut the top off the watermelon, approximately 1 inch down from the steam - just large enough to fit your hand inside. Set the tip aside. 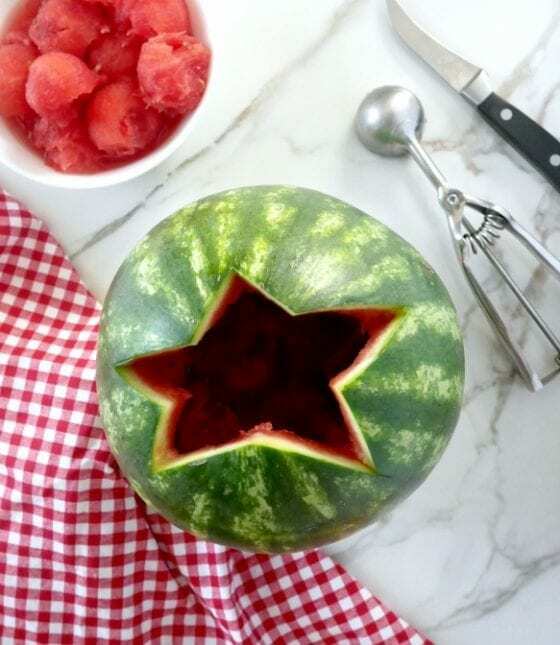 Using a spoon or ice cream scoop, scoop out the watermelon and place in a medium-sized bowl to enjoy later. Press the spigot slightly into the bottom portion of watermelon to create an indent, then cut a hole with a small paring knife. Twist the rings back onto the spigot from inside the watermelon until secure. Puree the watermelon you have removed. Pour about one cup of the watermelon puree and 2 cups of lemonade. Mix and add the top. This watermelon lemonade is fun and refreshing. Perfect for the entire family. 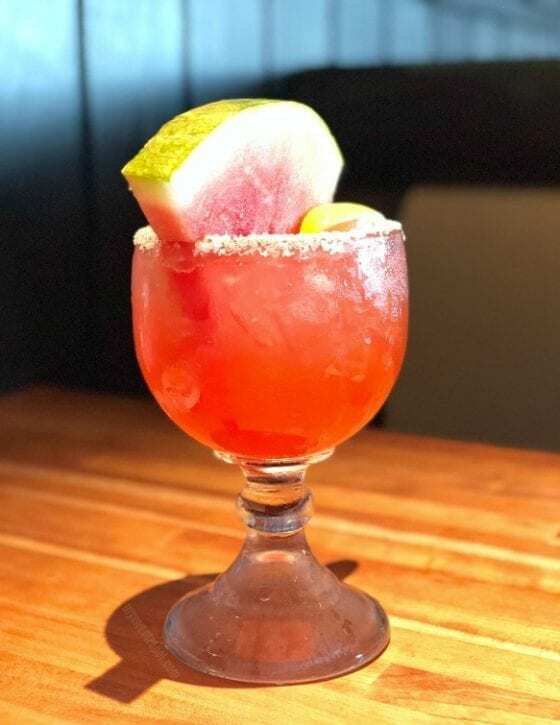 But, if you’re looking into a more adult friendly drink you can either recreate Cheddar’s Tito’s Watermelon Vodkarita with vodka, watermelon puree and sweet & sour mix; hand-shake, pour over ice and top with fresh-cut watermelon. Voila! It’s that easy. Or to make it even easier just head over to Cheddar’s Scratch Kitchen’s, grab a date or friends and enjoy a cocktail (or two). Grab a glass of your homemade refreshing watermelon lemonade and invite some friends over. Maybe everyone can bring something and turn any day into a very fun and memorable one. Because there’s nothing wrong with a little fun here and there. What’s your favorite way to enjoy watermelon? If it’s in a drink, which one? Maybe we can get a party started here. Share in the comment section below. OK I most definitely need to try this! I am all for a nice refreshing drink and I bet the watermelon adds a really nice taste! I love how you use the melon for a serving thing. This drink sounds so delicious and I need to buy a watermelon so I can make this. I’ll be making this for our upcoming bbq soon. Thanks. That sounds so refreshing. What a fun party idea as well. You can even make an adult version!!! You had me at watermelon. 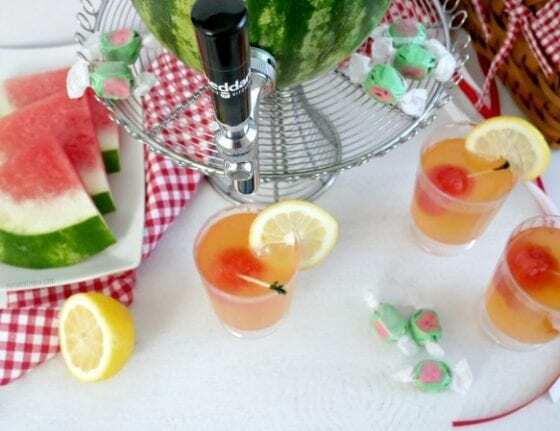 OMG lemonade + watermelon… is this real life!? I will definitely be making a pitcher of this tomorrow! What a cool and refreshing idea! Watermelon and lemon is a perfect match! I love watermelon lemonade, especially with some mint in it. Today I made watermelon peach salsa. Oh I don’t want summer to end!! Watermelon is my favorite fruit. This drink looks so refreshing! This watermelon lemonade looks so good. I love lemonade and watermelon but have never thought of putting them together before. Watermelon is like my favorite fruit ever! I love how refreshing it is alone. Add lemon to it and that really sounds amazing! Nothing makes me happier than sitting out in the sun with a refreshing lemonade in my hand. I’ve never made my own but I’ll definitely have to try out this recipe. this must be so refreshing! I have to give it a try! What an awesome and refreshing idea! Watermelon and lemon go so well together! Love it! Hmmmmm this sounds intersting. I have never put these two flavors together that I know of. I would definitely try it. This sounds like the perfect drink for summer! I might even adjust the recipe and add alcohol so it could be a perfect summer cocktail! That is soooo fun, totally going to do this for our end of summer party! Such a great idea for parties! This is a must-try! Wow, I had no idea that watermelon would be perfect for a lemonade. This must taste so good and refreshing. Perfect for a scorching summer heat wave. Lemonade + Watermelon… I am in. This looks so soothing… I need to give it a try. Thanks for sharing..!! This sounds so good. Though the weather is cooling down a bit here but we are still getting a lot of fresh watermelon. 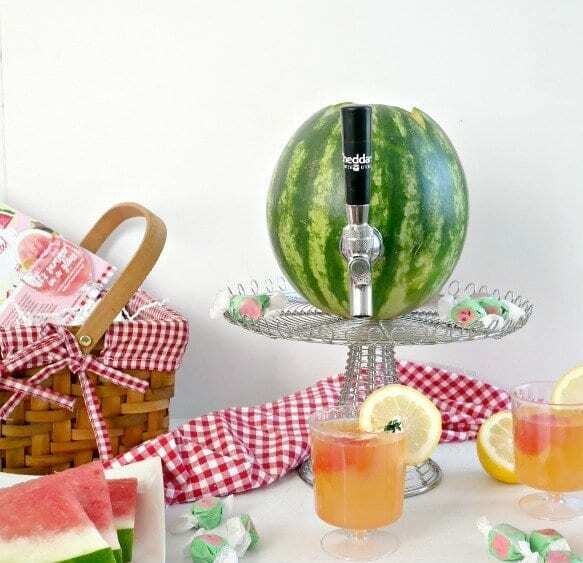 How brilliant is this to make a watermelon lemonade out of an actual watermelon. I like this and I would attempt to make this myself before summer is over. You had me at watermelon. It’s my favorite, especially when it’s hot outside. Nice. I have done a similar with a watermelon with Vodka. It was so delicious and as I remember We all had a brilliant time. I think this will a hit with kids especially with the hot August month. This looks so refreshing. I love how you used the watermelon. I am going to try making this for my next BBQ.